My blog has been resting as I’ve been metaphorically pregnant in my soul. The force of emergence is growing stronger, requiring deep breathing and trust in the process. In three weeks, I will be traveling to Colombia for a 5-week Spanish language and cultural immersion courtesy of a Jesuit university partnership. Three weeks ago, I first heard of this possibility. South America and me. It wasn’t on the ultrasound picture. The day before I leave for Colombia is a special day – my 60th birthday. There. I said it out loud. In the face of cultural ageism that would have me think life is ending. Yet, here I am pregnant with new beginnings. Nine months ago the labor began in earnest. I was unexpectedly tapped to teach a social justice course for university graduate students – with less than 2 weeks notice and while working full-time at my “day job.” Although I’ve facilitated learning experiences in a variety of settings; the college classroom was a new venue and I was anxious and thrilled. Breathe, risk, go forth. It was an amazing and exhausting experience – similar to my memories of being a new parent. Taking advice, trusting the process, trusting myself. I’m teaching again this quarter and the labor is speeding up. I’m reconsidering ministry in a different form. My aging parents may move in with us. My son and his wife will be giving birth to our first grandchild in December. 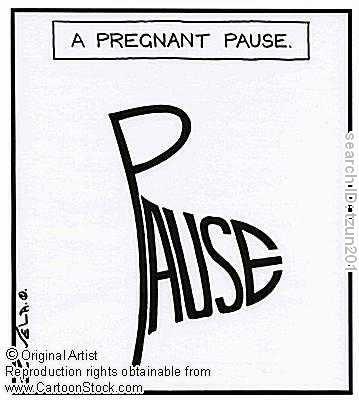 I am taking a pregnant pause from my blog. I will be back, perhaps greeting you in Spanish. I will be a different person; the birth more fully realized. In the meantime, I hope you are experiencing a pregnancy, readying you for some new birth in your life. Love your post. Have a wonderful time on the journey – see you on the other side! Thanks, libr8shun. I enjoyed your post about the challenge of staying in place. It reminds me of how journey can happen in so many different forms.